A trauma experienced by an infant during the birthing process is referred to as a birth injury. In some cases, birth injuries are unavoidable as a result of the mother's health during pregnancy which can lead to complications during the delivery. Unfortunately, there are also several birth injuries which are caused by negligence committed by the medical practitioners. Medical negligence especially during labor and inside the delivery room is one of the many causes of birth injuries. While other causes of birth injuries are inevitable, medical negligence is preventable or can be avoided if the medical practitioners do their job well. It does not even have to be only during labor or already inside the delivery room but even well before this, while the mother was still gestating. 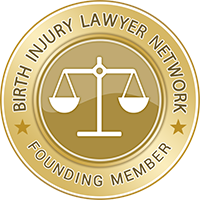 Unfortunately, the effects of some birth injuries that result from medical negligence are devastating and lifelong such as brain damage which can drastically change a child's life. Worst, some can even lead to death. The resultant mental and physical disabilities that a child suffers will entail a lifetime caring, which means additional medical expenses. One of the most common cranial injuries that an infant may suffer especially during a forceps-assisted delivery or vacuum extraction. Also a swelling in the infant's head that may be caused by vacuum extraction. A not well-done or assisted delivery can result in a baby fracturing its bones. Assistive delivery devices such as forceps and vacuum extractors can result in skull fractures during birth. Aside from the skull, the clavicle is another bone that often gets fractured especially if the baby is large or has wide shoulders. Careful maneuvering of the baby out of the vaginal canal will help avoid the injury. Improper use or unfamiliarity in using assistive delivery devices such as forceps can lead to this injury. the brachial plexus is a network of nerves located near the neck and provides movement and feeling to the arm, hand and fingers. Overstretching of these nerves will result to an injury that can lead to loss of movement or weakness of the arm. The injury is most often caused by a difficult delivery wherein the infant's head and neck are pulled towards the side as the shoulders pass through the birth canal; or the pulling of the infant's shoulder during a head-first delivery; or the pressure applied on the baby's raised arms during a breech delivery. An infant's facial nerves may get injured during the use of forceps in delivery. May result from several lapses that medical practitioners may commit during delivery. A medical practitioner should immediately be able to detect signs of oxygen deprivation which can lead to several other injuries. The medical practitioner should also immediately be able to make a decision on how best to prevent the injury and not delay treatment.